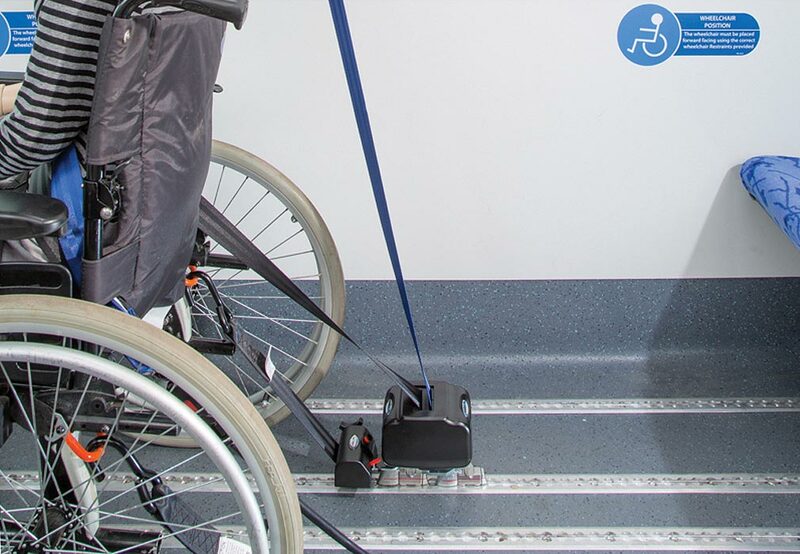 The Double Inertia Occupant Belt is comprised of dual occupant retractors and a separate vehicle anchorage point for securing wheelchairs in both small and large cutaway vans. It is frequently used in Community Transport vehicles across Europe and other areas throughout the world. Durable metal cover for heavy duty use. Offers enhanced protection against hard everyday use. Keeps debris away from the retractor mechanisms and prevents twisting of the belts. 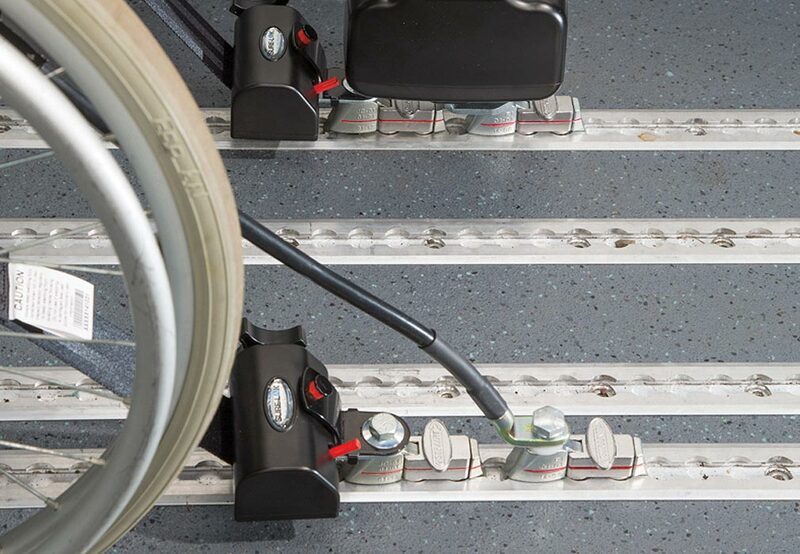 Provides greater comfort in securing wheelchair passengers. 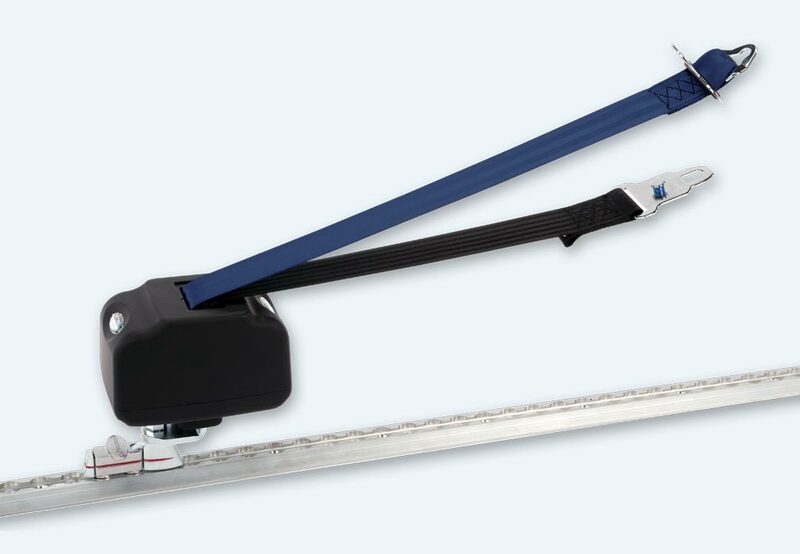 Retractors offer both inertia locking (a fast, hard pull will lock the retractor) and vehicle sensitive locking (retractor locks if the vehicle is on a slope of 15 degrees or more) for additional passenger safety. Mounts directly onto L-Track fitting while maintaining a low-profile height. Positive Locking Indicator on fitting serves as a visual locked indicator to ensure the fitting is locked into the vehicle anchorage. 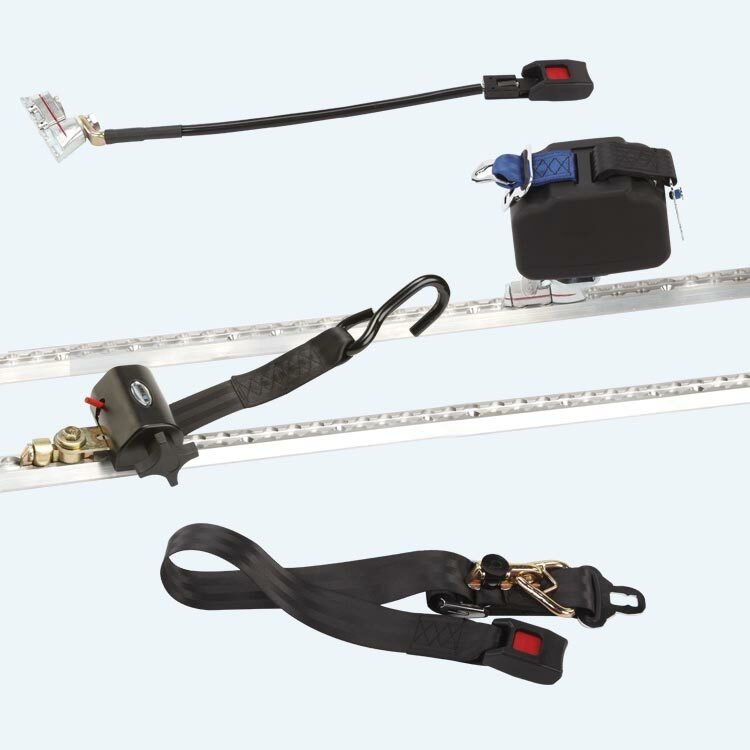 Coulour coded to differentiate shoulder and lap belts to help those securing passengers to visually verify the proper use of securement equipment. Kit includes a 3-Point Shoulder belt for optional use.